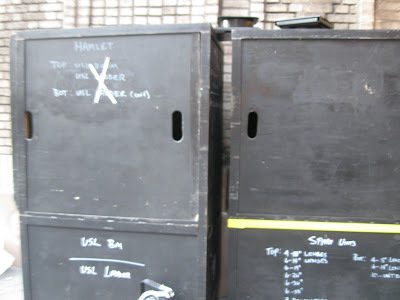 Adventures in the Endless Pursuit of Entertainment: Come hither, my dear Hamlet, sit by me. 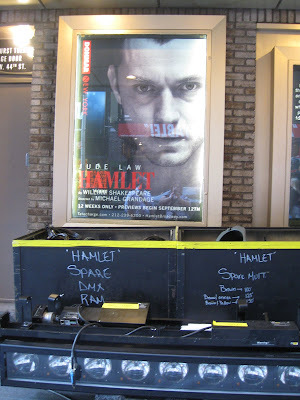 Hamlet begins previews on September 12th, opens on October 6th and runs until December 6th. 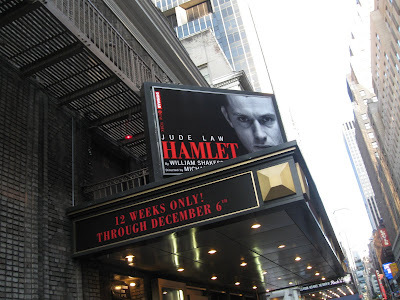 That's only 12 weeks to catch Jude Law on Broadway. 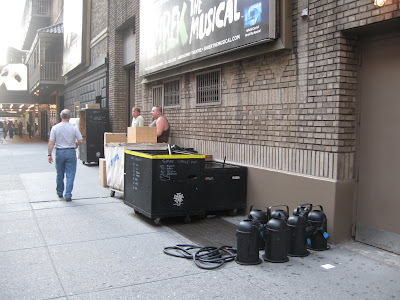 It's another transfer from the Donmar in London! Okay, I admit that I'm finally feeling a teensy bit of excitement about seeing this one - afterall, I do love Brits on Broadway and I do love Shakespeare. 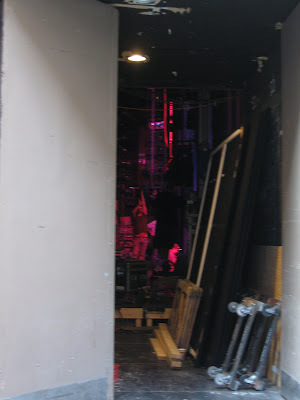 On Wednesday, Kevin and I stumbled upon the "load in" for Hamlet on the way to our favorite watering hole.